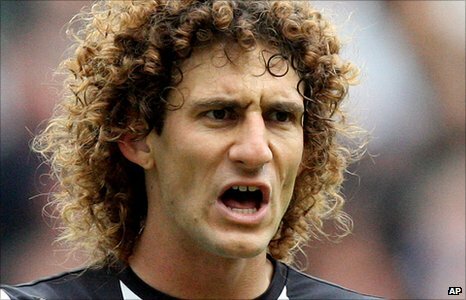 It took several seasons for Argentinean Fabricio Coloccini to settle on Tyneside, after a tricky first campaign where he witnessed the clubs first relegation in years. But the 10.3 million signing decided to stay on and prove himself on Tyneside. Coloccini was the main man in the middle of defence all of the Championship winning season and partnered fellow centre back, Steven Taylor, to grab himself a place in the Championship Team of the Year. Many said that the year in the Championship toughened the ex Deportivo centre half and is the reason for his recent sucess in the black and white jersey. Once passing his 100th appearance for the club, the Toon Army faithful and other pundits around the country began to realise how much of a talent this curly longed haired defender was. And once the former Boca Junior rookie came into the 2011/2012 season newly, appointed manager Alan Pardew offered the prestigious captain’s arm band to the cultured centre back, with which he has prospered this season, leading Newcastle to fifth position in the Premier League and European football. “I enjoyed it, especially because we got qualification for the Europa League”, added Colcoccini. European Football was a clear goal for the 30 year old after pledging his future to the club by signing a new contract mid way through the last campaign, when clubs such as Liverpool were reportedly interested in the Argentinean star. But now with everything seeming to come together under Fabricio’s captaincy and Pardew’s regime on Tyneside, many United fans and general football fans will agree that Coloccini’s first year as Newcastle United skipper has been a success, with hopefully more rewards yet to come. If we can starve off inevitable interest for the imposing defender, in the Summer, then the Argentine leader could be bringing us further success next season.